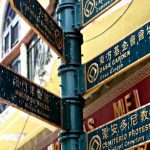 I am not Macanese, nor am I Chinese (though I am convinced that in a past life I was), thus I feel as if I have no right to have an opinion on whether or not Macau is officially a part of China. Having said that, I do feel that the region is heavily influenced by the Chinese and that is most likely the reason why I left completely enamored with it, since I have quite a soft spot for this special part of the world. China has played a significant role in my life, in fact I would go so far as to say that I somewhat of an expert on the country. My majors in college were Comparative Religious Studies (with a focus on the Asian religions) and Asian Studies (with a focus on China) and I am Chinese Medicine Doctor. I speak Mandarin, briefly studied/worked in China, and have visited the country five times. 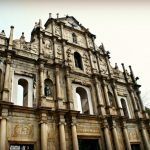 Wandering around Macau can be likened to going on a treasure hunt, since around every corner a new surprise awaits you. What was my favorite discovery of the day? I loved the wall of graffiti that was commissioned by the government to teach its residents the Macanese rules and laws. I think it is brilliant that they found a humorous way to approach a serious subject. We had one last stop in Macau’s historical center. Having had such an unforgettable day already, I doubted that I could like anything more than what we had seen already. I was wrong, as it ended up being my favorite stop of the day. . .
i love all the tiled designs that are all over ground in the downtown areas. one of my favorite parts of Macau….. Thank you sweetheart!!! I looooved the tiled designs too. Portugal definitely left a beautiful touch upon the city, as well as the Chinese. Such a cool mix of cultures! I’m so sorry, but I have no idea! I should have asked!!! Hahaha, I love the government-sanctioned graffiti. It’s so cute, and what a fun way to teach people the laws! I wish I knew what it was! I’m sad that I didn’t ask. I don’t eat meat, so if it looks like meat I tend to stay away from it. That girl was sooo precious!!! What gorgeous photos. And, i love all the anime on the walls. Thank you dear!!! Isn’t the anime awesome? Awww thank you kindly!!! So touched that you liked them that much! Macau is totally full of colors, textures, patterns, designs. Please do visit if you get the chance! These photos are beautiful, Andi. The little girl is such a doll. I love reading about travels when people are in a place that they have studied or have long been fascinated by. They tend to see it with different eyes that the casual traveler. This seems to be the case with you and China(/Macau). Thanks for sharing your perspective! I promise to one day write about it! I have a couple of posts that I have in mind, but I just always have another adventure to share haha. 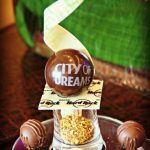 definitely adding this place to my list of must-sees! this is a really interesting post! Love it — you make wanna go board a plane right now! found a lot of great photos in this post good job! Thanks darling, yes I’m super linked (good word!) to the country!!! 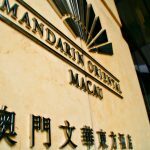 I’m glad to read that you too think there is SO MUCH more to Macau than just casinos. Very interesting photos. I love seeing hilarious scenes like this when traveling. i wish i could write so good like you do in your posts! WOW I love these shots! So happy to hear that Di! I have a little confession: I save your blog entries for slow Friday afternoons, right before Shabbat starts in Jerusalem. The traffic grinds to a halt, the sun is almost down, the streets are quiet, I make a cup of tea and I travel through your words and photos. This is why your journeys always feel like a treat to me… This, and your ability to bring your studies, past experience and expertise into all your travels. Thank you for letting us see it all through your beautiful mind. Big love to you. I’m not quite sure how to respond to this comment, as I don’t think I could ever succinctly express my depth of gratitude! Thank you for your beautiful words and for following my blog!!! I’m so touched that someone as talented as you enjoys my words and photos as much as you do. All my love back to you!!! Fantastic pictures and a well presented post I really enjoyed the diversity ofof the pictures in your post. Thank you so much, that is very kind of you to say! this post is very well written, you must be a really intelligent person, keep up the good work. I have to visit Macau now! i would like to thank you for inspiring me to go to Macau! You will LOVE it Lisa! Your pictures are a work of art! Simply stunning. I love that yellow house nestled between 2 buildings. I can’t wait to visit…in the near future! Awww thank you so much Karla, you are so sweet my love! Isn’t that yellow house so special? I would have loved to have met the owners of it and explore inside. Abrazos y besos bonita!!! Andi, I just love your photos, just love them! Love the cartoons! Nice muse. Hi there, i just needed to drop you a line to say that i thoroughly enjoyed this detailed post of yours, I have subscribed to your RSS feeds and have skimmed a few of your posts before but this one really stood out for me. I know that I am just a stranger to you but I figured you might appreciate the admiration Take care and keep blogging. Thanks for the kind words Kali! Oh wow Andi! Pretty impressive! I went to Hong Kong three years ago but didn’t have the time to squeeze Macau in :o( For my next visit, I will absolutely make it a point to do so. It sounds/looks like such an amazing place. I hope I’ll be able to visit it too sometime! Loving these colours! And fantastic shots to show them off… I haven’t been to Macau as yet, but you’ve helped remind me why it should go on the bucket list. Thanks! Thank you sooo much for your super kind words, I’m really touched! 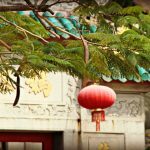 The colors of Macau are just incredible…especially the Chinese red. I hope you can make it to Macau soon!!! I really want to go to Macau now! I really want to go back haha! Fantastic site. Lots of helpful info here! Glad you liked it Pedro!!! Hahaha that mural is awesome! I love the heart shaped eyes when they look at the toilet 🙂 SO cute! I wish I had taken even more pics of it now!!! It was hysterical. Love those heart shaped eyes too. And the “fine” being brought over with wings hahaha. These are some of my favourite photos that you’ve ever posted! The street art style looks almost like it was done all by the same person – do you know if it was? WOW what a big compliment thank you!!! Unfortunately, I don’t know too many details about the mural. I regret that, because now I’m in love with it and I want more pics and more info. Such colorful shots! I would love to visit Macau. That’s such a neat and creative way to express the rules and laws! Great post! How cool you are a TCM Dr.
there is always something important and also interesting to learn on your posts! What a nice thing to say, thanks! I love that there are two murals dedicated to dog poop (and apparently one dedicated to people poop?). Definitely not something you’d find in every culture, and I love seeing little details like that that really remind you you’re somewhere specific in the world. Hahahaha only you would say that and that’s why I love you! 🙂 Nope, definitely not something you’d find in every culture, that’s for sure!!! Oh how I want to visit Macau! I would love to go to macau someday! Great photos! I like the cartoon signs. I hope you can make it there soon!!! Thanks! Really!?! If he has any questions let him know that he’s more than welcome to email me with them! Really beautiful photos. I It looks like such a gorgeous place. Thanks so much Sarah! Yes, Macau is gorgeous!!! So happy to hear that Abigail! Those cartoons are just hilarious – missed them in my whirlwind Macau trip! They would be pretty easy to miss, since they were on a side street! Next time you’re in Macau you’ll have to look for them!!! And take more pics than I did! Thank you so much for your kind words Ken! Es un placer leer articulos tan interesantes! very good, look forward to more posts on Macau! When I was little, my parents took me to Macau but that was some 28 years ago. I don’t have any memory of it, except the photo of my mum and me in front of a famous crumbling wall. Would love to go back there one day. Jennifer James has got me interested in graffiti wherever I ago – these photos are really great! Oh you should so put it on the list darling, you won’t regret it!!! Wow, Andi. I am just catching up on all of your fantastic posts now, and I just had to comment on this one. The pictures are incredible. You are so talented with that camera!